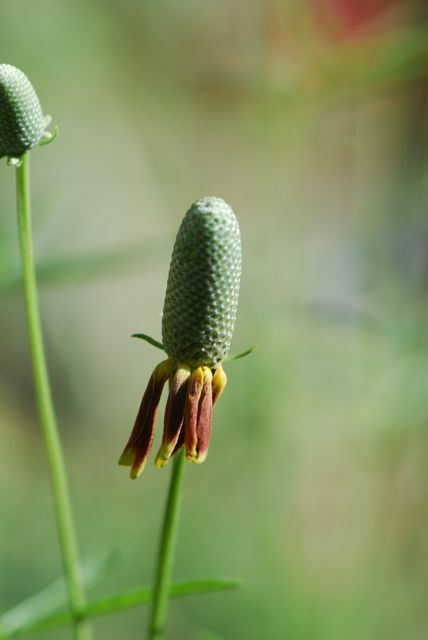 The cone- or column-shaped seed head gave away our mystery seeds to at least a few of you last week. 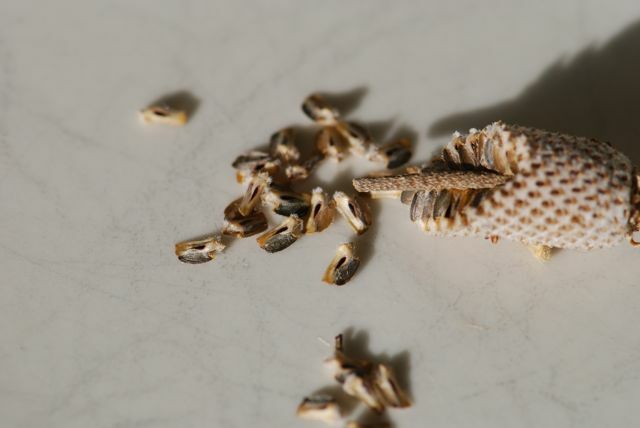 The seeds were from the Mexican hat or prairie coneflower, Ratibida columnifera. 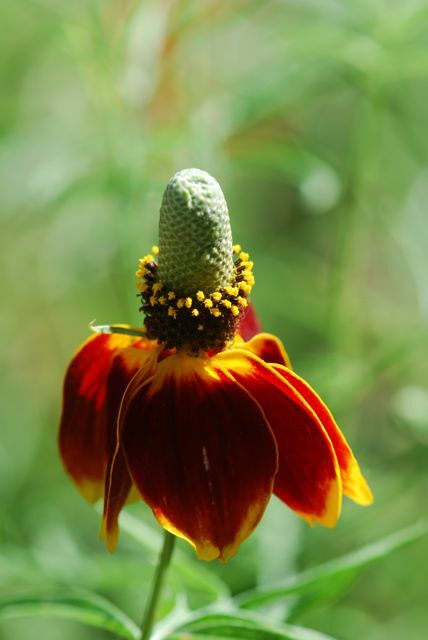 The Mexican hat is named for the way its flower has whimsical resemblance to a colorful sombrero. 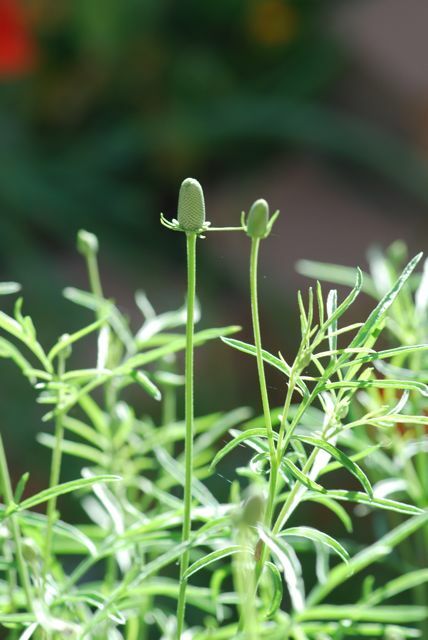 It is fascinating to watch the ray flowers, which look like petals, unfurl from the bottom. Slowly the disk flowers start to open at the bottom, then move up to the top over a few days. 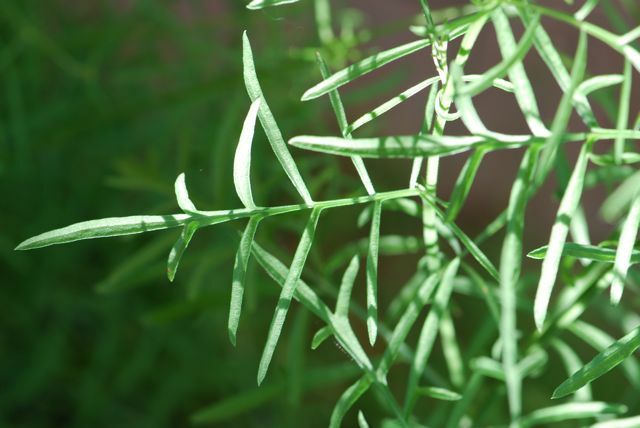 The leaves are delicate and highly cut in, giving the plant a lacy and open look. 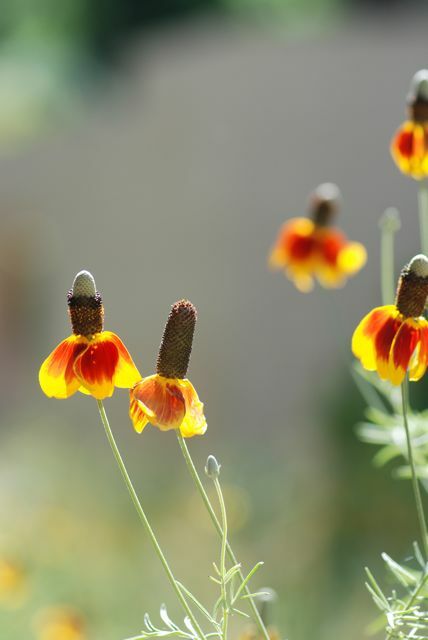 Mexican hats are perennial plants that grow throughout much of North America. They are particularly common in the prairies. 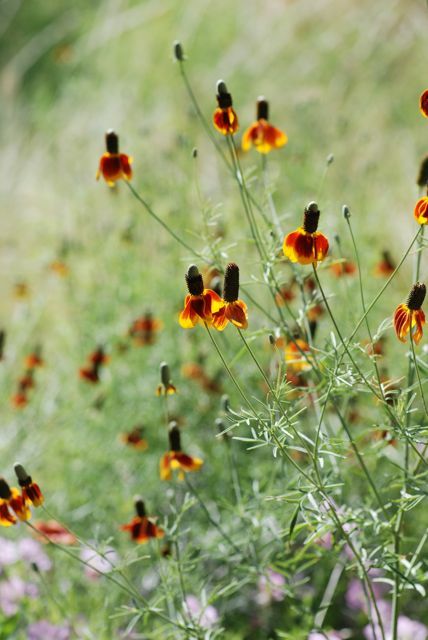 They are will tolerate quite dry conditions and are regularly grown in Arizona. 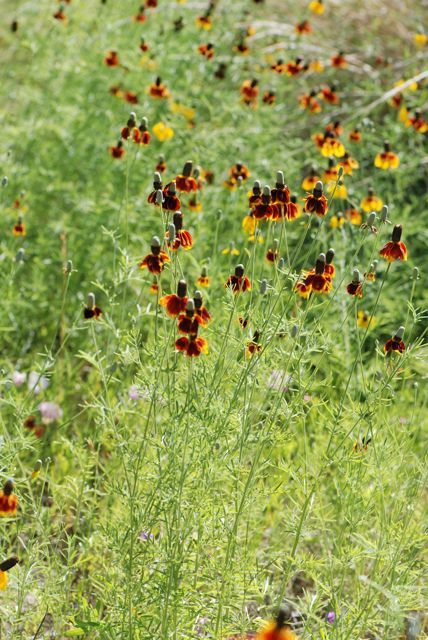 Do Mexican hats grow where you live? Have you ever watched their flowers unfurl?